Abe Taraky is the Senior Concept Artist at Santa Monica Studio and has worked on the main concept art for God of War as well as concept art for the characters and backgrounds of Doctor Strange, Captain America: Civil War, and Deadpool at Luma Pictures. 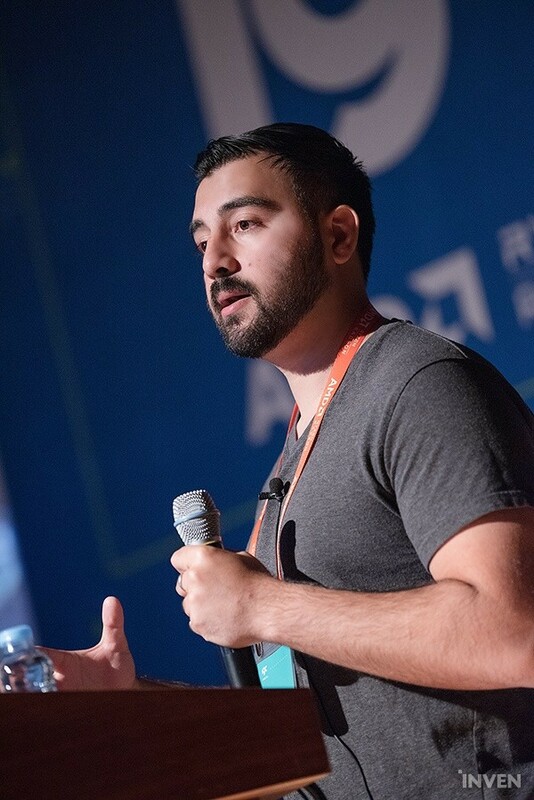 He began his gaming career through indie games in 2008 and worked on art for various game titles as a Senior Concept Artist for Gameloft in 2012. 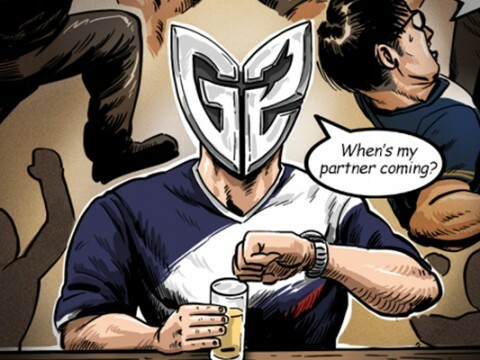 Afterward, he worked in various fields like games, movies, animation, and advertising; he even worked for WB Games Montréal. The God of War game successfully presented new possibilities for the series with the new title in 2018. The changes to the scenarios, world setting, etc. for God of War are very meaningful as they did not just broaden the horizon for the new 2018 title but for the expansion of the whole series as well. The devs had to invest so much time thinking about how they could apply changes to the series in order to expand the games. 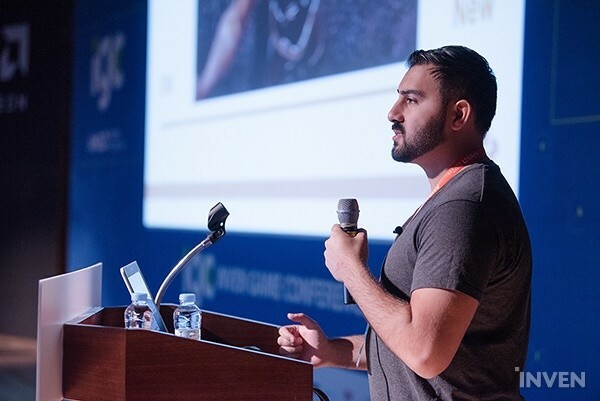 On the last day of IGC 2018, Abe Taraky started his speech by introducing how he had gained experience as the artist for AAA and indie games and was able to experience various work processes. Also, he explained that as a concept artist for God of War, he had the same issue previously mentioned. Taraky explained the roles that concept art plays when constructing a game world and also discussed the process with the actual technology as he introduced the process he worked on himself. Along the way, we were able to witness his commitment as a concept artist. 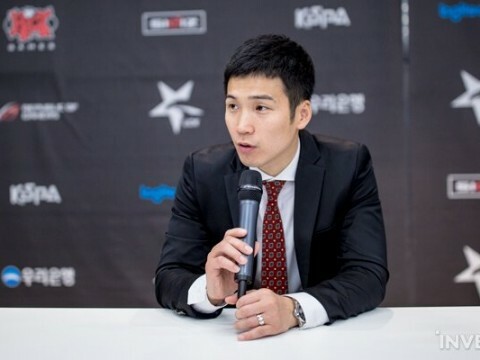 ■ How Could He Create a New World for the Already Proven World of God of War? What meaning does building the game world hold? 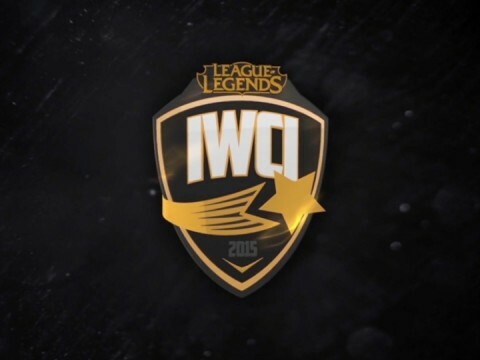 The world within games now have become much more important than before. 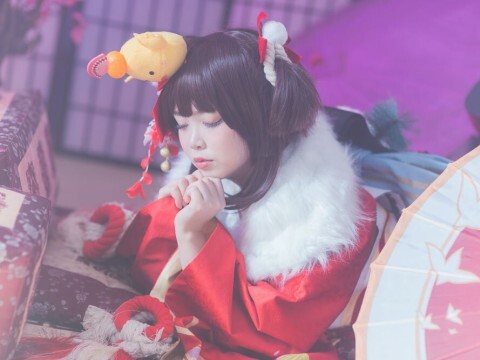 Gamers love to experience a new world as they play, and many games today display their own special world. In the past, a game’s world did not have as much of an impact or importance as it would now. The only exceptions would have been AAA games that were backed by a lot of capital; they could afford to create various environments and locales. 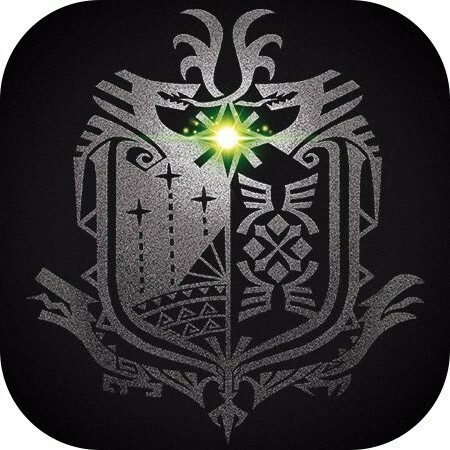 ▲ What does the setting mean for a game? However, as small developing teams began to expand a better development environment and more elaborate technology, game worlds became an essential factor for all games. It was no longer something only certain categories of games could have. The world of a game became an essential part of the experience, regardless of the game’s genre or platform. 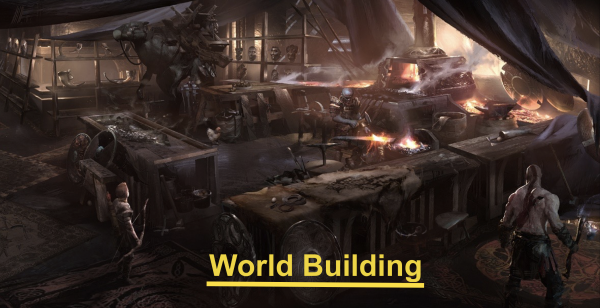 With this new emphasis on world building in games, devs all across the field sought to create better environments, more expansive worlds, and settings that felt real. God of War had already created a memorable world in previous titles and became one of the most beloved IPs. How could they create an entirely new God of War that would still hold up to the previous titles? 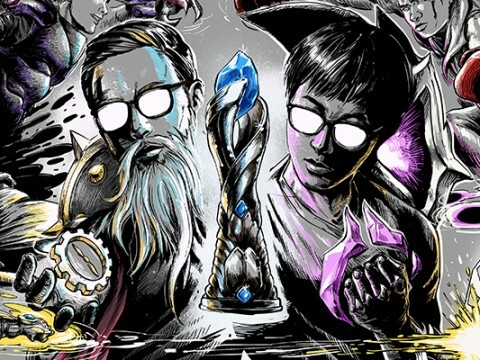 Could they succeed in creating a perfectly new world without ruining the awesome one they already had? Let’s go back to the point where they were developing the new 2018 title for God of War. God of War back then already had a great world that proved to be enjoyable by many fans; the God of War franchise had so many assets from the previous titles when it came to what they should aim for in art, and Taraky explained that it was tough to make any changes here. The methods Taraky used for difficult processes were ‘reference deep dive’ and ‘reverse engineering’ (the process of finding the principles through structure analysis). He said that he is still using these two methods and explained by using one element that played a big role in the setting of God of War. 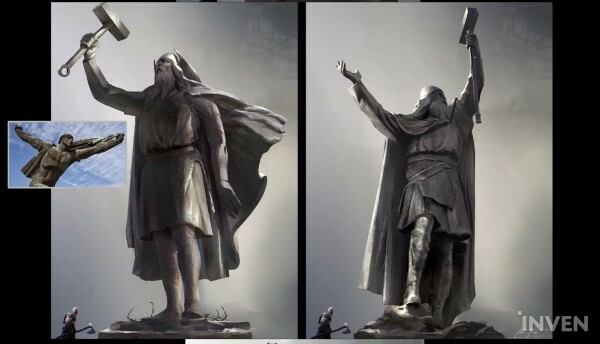 Taraky explained that the direction they were aiming for this IP during the development was moving from Greek to Norse mythology. He needed to do research on Norse mythology for the concept designs, delving deep into the various stories and characters. At the same time, Taraky wanted to create artwork that deviated from the stereotypical depictions of Vikings. In order to create his own art with Norse mythology/Viking culture, he had to learn what Norse mythology was really about; he went through numerous books, folklore, and classic poetry. He discovered that many of the details in Norse Mythology were not explored or known by most. He used ‘Thor’ as an example; many people know that Thor is the God of Thunder who wields a mighty hammer. 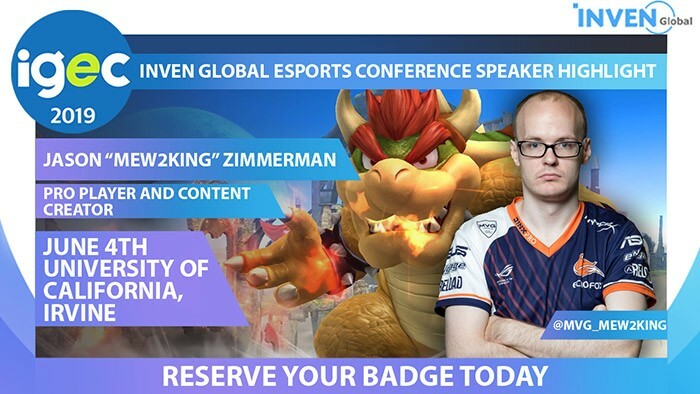 However, not many people know that he rides a flying chariot led by two huge goats. This was an element not found in most comics or movies. 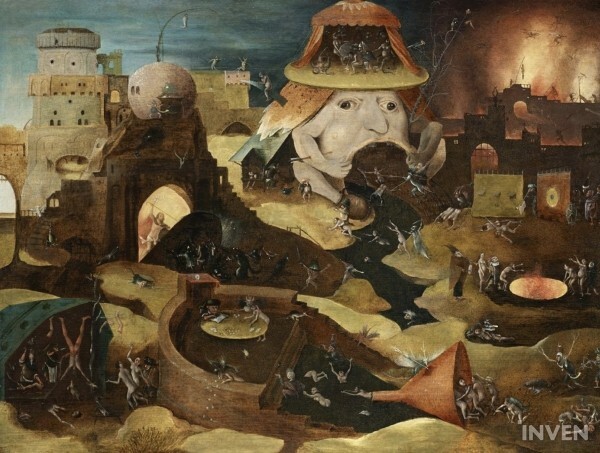 Taraky said that as he studied Norse mythology, he got the same impression as he did from the art of Hieronymus Bosch. Just like his artwork, Norse mythology seemed like a calm ocean on the surface but at the same time, there was chaos and madness within. Likewise, having extensive knowledge about the culture meant understanding the aesthetics that culture had; that understanding of the aesthetics helped immensely when it came time to create artwork for the game world. ▲On the surface, it seems calm; but within, it is filled with chaos. ■ What If Yggdrasil, Stargate, and Viking Brooch Came Together? Typically, people use clear references for concept art. For example, if you were to develop a new engine, you would be creating a new design by referring to the modern engine. However, that is not always the case. Sometimes, the references that are provided can be quite vague or ambiguous. For example, let’s say you have to create something new by putting 2 completely different things together. ▲What can you make with a cat and bus, the two completely unrelated items? 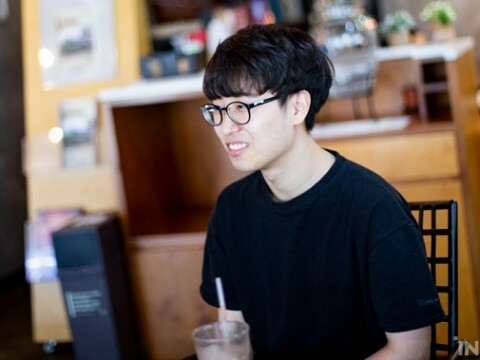 Taraky explained that although such a combination seems silly, it is a problem he often encounters in concept designing. Concept designers start to ask themselves many systematic questions in such cases. The more detailed the questions, the more detailed research can become. Is the bus driven by the cat? Or, is it a bus with a cat design? Is the cat alive? Or, should it just have feline characteristics? Or, should everything above be applied? ▲ That is how the cat bus comes to life. Through this process, the designer can master the sources given to them and create an element that seems real at heart. A core reference was given in problems similar to the one above. There were many well-known references but there were also vague ones. 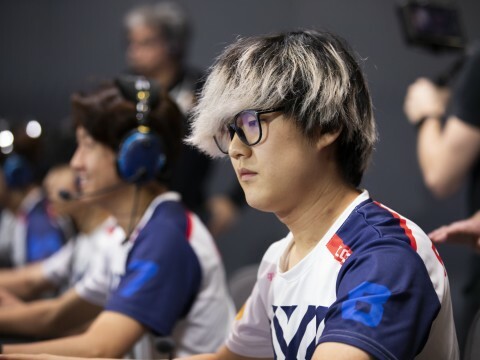 Taraky explained that he had to dive deep in order to bring the most out of the given references when he was developing the new 2018 title. He took the Well of Urd, a means of teleportation in God of War, as an example. According to the Viking legends, this well is a mythical item that is located at the center of Yggdrasil. The Vikings believed that this tree existed outside the world and connects different worlds together. The portal system in God of War is based on this Yggdrasil myth. 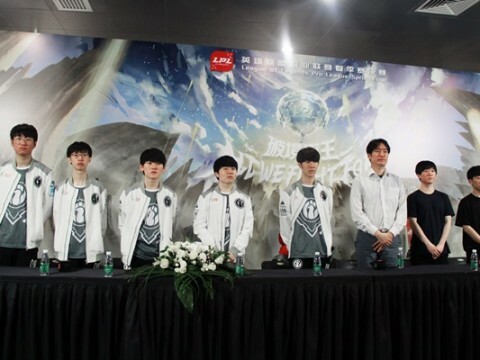 Meanwhile, Taraky explained that he took reference from the teleport designs that appear often in SF or fantasy for the mechanic of teleporting to other areas. He took heavy reference from the gate from ‘Stargate’. Two references were given to Taraky just like the example of the cat bus. Yggdrasil, teleport design, and a 3rd reference that had to be added. In order to create a design with Norse aesthetics, he needed another reference. The problem was that Viking architecture and furniture had simple yet practical designs; the design for the portal in God of War had to have a magnificent and mystic vibe to it. Not only that, as Taraky went on working, he and his team realized that there aren’t many objects or artwork left behind by the Vikings. 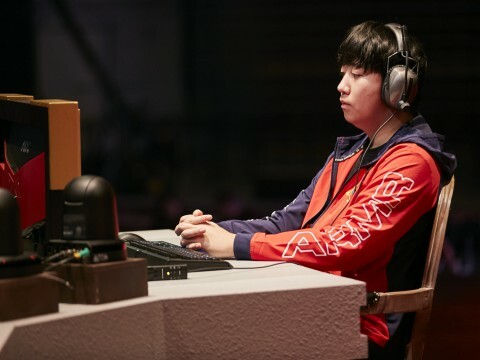 Taraky explained that he continued working on the design of the Well of Urd by focusing on its function first. 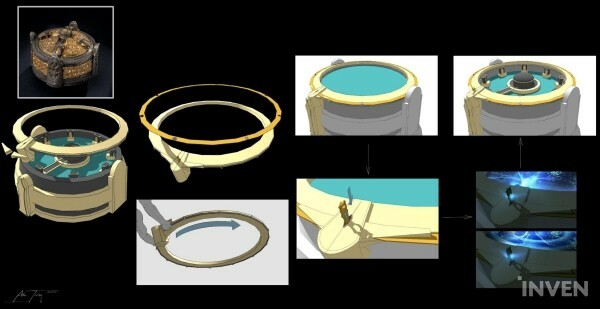 While he was working on the design based on the basic elements the mechanic has, he came across the Viking box brooch. The box brooch, which was used by Viking women to fasten their shawls, could hold small jewels or objects inside and could be opened by turning the wing on the top. When he took it apart, it had many similarities to the well. 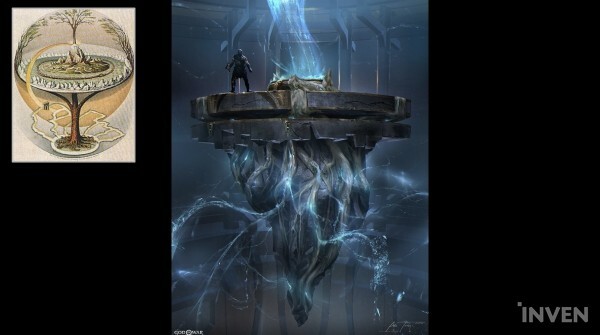 Taraky explained how the references are reflected in two of his works that are the base of the Well of Urd. Yggdrasil was the element that added a mythological and natural vibe while the box brooch was the element that showed the artificial yet magnificent and practical parts. Putting these two together created the Well of Urd. He continued by explaining the Selection Ring design. The ‘Selection Ring’ is the element for players to move themselves to choose the world they would like to travel to, and it was created based solely on Norse references. Taraky said that he tried to make the Selection Ring reflect the elements within the world of God of War as much as he could. This may not be what players pay attention to when they are playing the game, but adding elements that contain such details can make players feel they are really in this game world. The small things that rise when turning the Selection Ring were inspired by the things that come out of the portal in Stargate. Lastly, Taraky explained there were opportunities where he could add more various elements just like he did with the Selection Rings. 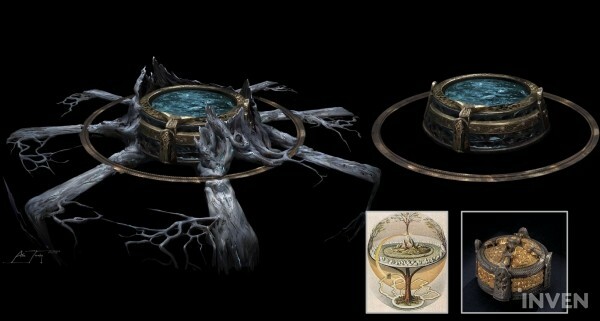 For example, the bottom part of the well had to be designed through concept art since it was the part players could see. It was made based on how a tree would look if it were pulled from the ground, and the roots would look like the heart or organs. 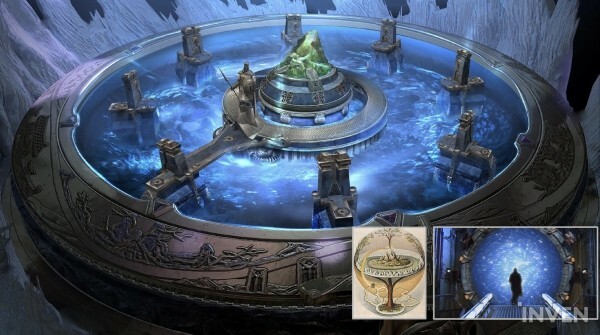 This added even more rich details to the Well of Urd. 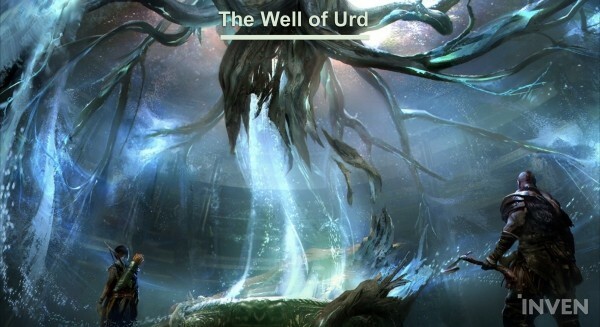 The overall process of designing the Well of Urd took a long time. They had to find elements they could use in as many ways as possible from simple references and put them together to create a final design. 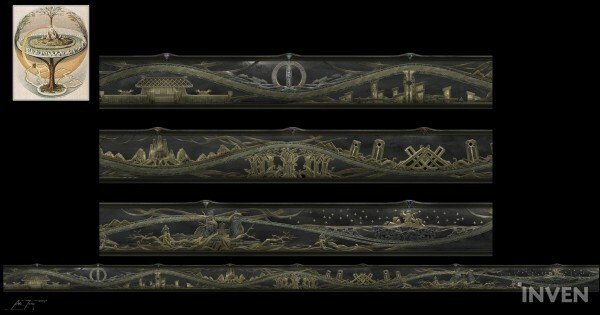 These elements - each taken from different references - helped make the world of God of War more rich and alive. ▲ Putting all the elements together created a new design. ■ What If There Is No Such Thing as Reference? It can be quite difficult to combine and create using references, but what do you do when there are no references? What if you must craft something that doesn’t exist in any cultures - something that you cannot base off of anything else? 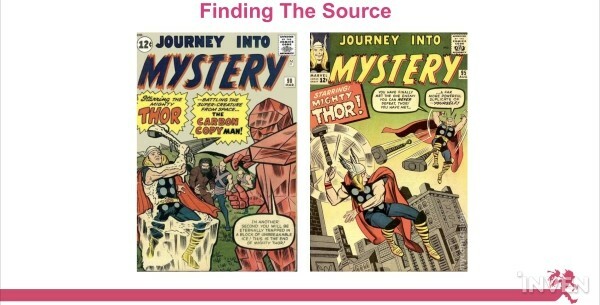 This is where reverse engineering comes in; Taraky took the Statue of Thor as an example. 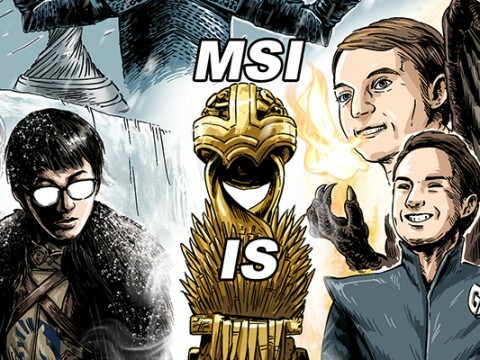 The setting may have changed from Greek to the Norse mythology, but the scale found in the previous titles was something Taraky wanted to carry over. God of War was an IP famous for its large scale; it gave the game a very powerful and even intimidating air. When you look at wooden or stone Viking structures, they are often simple, crude, or less-than-artistic structures. There also weren’t any grand buildings like the pyramids or the Parthenon. The problem here was that details were necessary to give them a grandiose feeling. There’s a big difference between basing something off a pile of pebbles and basing something off of Stonehenge. ▲ The simple silhouettes of Viking relics. The Viking statues and murals did have some elaborate details, but most of their silhouettes were simple. Thus making these relics just larger didn’t mean it would give the grand feeling God of War was aiming for. This meant they had to recreate aesthetics that never existed before. Taraky started to look for other existing references based on how Vikings constructed and crafted things using basic tools and materials they could find in their surroundings. The structures in Hungary/Russia, which were less elaborate, made up for the lacking references. Rather than depicting something elaborate, they were artwork that reflected personal interpretations, energy, and strength. ▲ Structures that were rather simply expressed. After all of the analysis and reference research, they put everything together. The statue they were designing at first had too much of a ‘Greek vibe’. There needed to be many details, yet it had to have Viking elements at the same time. The second iteration had a more simple silhouette but also had details within. Like how wares from Eastern Asia had simple silhouettes but elaborate patterns within. ▲ to something more Viking-ish. Additional details were added to the final design so that it would give the Viking vibe. 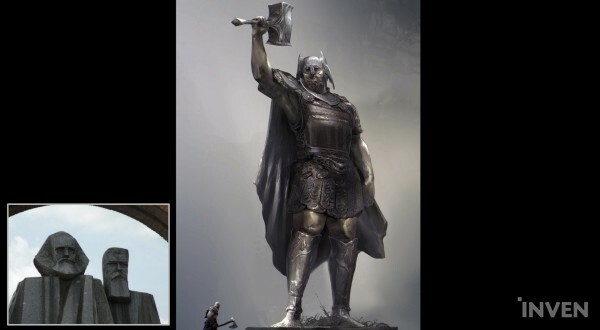 Since this was the statue of Thor, they needed to make it look more heroic and idolized. 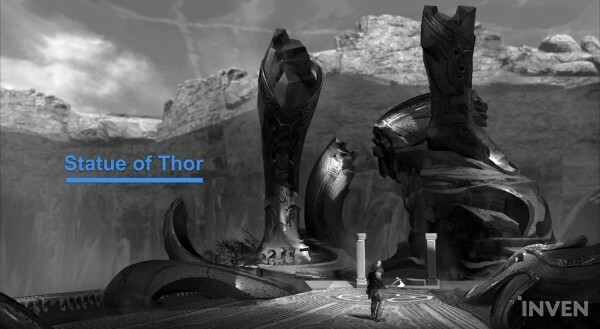 Taraky wanted to add elements that showed the world of God of War in the Statue of Thor just like the Well of Urd. 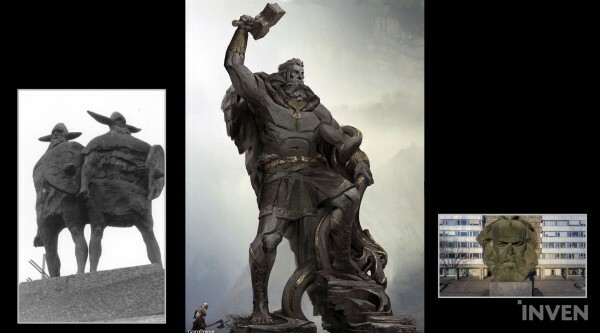 The rivalry between Thor and Jörmungandr, the World Serpent, was added to the statue. The statue delivered the game’s world setting through Thor’s victorious pose holding his hammer and small World Serpent, expressing Thor’s heroic aspect. Also, this naturally explains the reason the NPC snake swallows this statue in-game. He finished his speech by talking about his commitment as a concept artist. The role of a concept artist is to add variety and depth to the game during its development. He said what he for aimed was adding variety to what he and his team worked on and adding even more depth to the already successful God of War franchise story when he joined the God of War dev team.